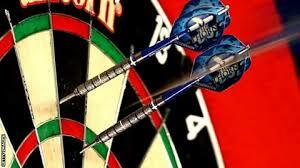 After a very successful season, the PASALB darts team have finished up as winners of APFSCIL league Division 3. Their relatively short season ended up with 6 wins and 2 defeats finishing on 60 points, 2 points ahead of Everton and 6 points ahead of Newcastle United. The full table and all their results can be seen here. Next season, we will be competing in League 2 and, as ever, anyone interested in playing would be very welcome. All home games will be at our usual pub, the Hoop and Grapes on Farringdon Rd and even if you don’t want to play, do just come along for a drink and some Argyle chat. Future fixtures will be publicised on this website.